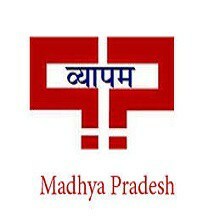 MPPEB known as Madhya Pradesh Vyavsayik Pareeksha Mandal (MP Vyapam) had recently announced about the recruitment of 206 Posts Group-2 (Sub Group -2) For Assistant Auditor, Lekhpal & Various Posts. Many Eligible Candidates filled there application form for above Vacant Posts. The Online Application form was Submitting Till 13.07.2018. Many Eligible Candidates who gave the written Test Successfully on the date 04.08.2018 To 05.08.2018. The Exam was Written Objective Type with Both Paper 100 Marks. The Exam Time Duration of 03 Hours. More Details about the Exam is provided Below. There was one common Objective Multiple Choice Type Paper for All Posts mentioned Above. Shift wise Answer Keys is available on MP Vyapam’s Official Website. MP Vyapam has upload Answer Key within One week of commencement of Exam. Answer Keys will upload with Result Declaration. So all Candidates must keep an eye on Official MP Vyapam website. Latest Updates for MP Vyapam Assistant Auditor Answer Key 2018 will also available on this Page itself. Visit MP Vyapam Official website. There you will find Link to Download Answer Key for MP Combined Group 2 (Sub Group 2) Recruitment Test-2018. Click on that link………it will take you to the Answer Key Page.